LIMITED RELEASE! Another Release added to our “Glamour Line”. Try our beautiful Skin named “IRIS” New “IRIS SKIN” with shape. Four skin tones; Pale, Fair, Tan, Dark. Shape is modifiable. Included are 10 lipsticks options, 3 Dimple options, 1 freckles and 1 cleavage enhancement option. Lolas appliers, lush appliers, slink mesh hands & feet appliers and Phat Azz appliers are available at the shop. Here is your taxi to the store. Also available on Market Place. Another Release added to our “Glamour Line”. Try our beautiful Skin named “ROSE” New “ROSE SKIN” with shape. Four skin tones; Pale, Fair, Tan, Dark. Shape is modifiable. Included are 8 lipsticks options, 3 Dimple options, 1 freckles and 1 cleavage enhancement option. Lolas appliers, lush appliers, slink mesh hands & feet appliers and Phat Azz appliers are available at the shop. Here is your taxi to the store. Also available on Market Place. 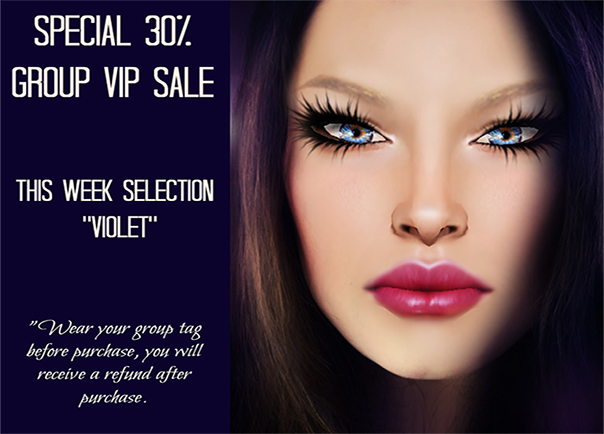 To our VIP Group Members, each week we will select one skin from our store and give a 30% discount to our Group Members Only. The discount will run from Monday to Sunday each week. If you are not a group member, you can still join for free to get discount. Here is your taxi to the store. Introducing another Release from our new “Glamour Line”. New “LILY SKIN” with shape. Four skin tones; Pale, Fair, Tan, Dark. Shape is modifiable. Included are 8 lipsticks options, 3 Dimple options, 1 freckles and 1 cleavage enhancement option. Lolas appliers, lush appliers, slink mesh hands & feet appliers and Phat Azz appliers are available at the shop. Here is your taxi to the store. Also available on Market Place. For limited time, LoveMe Skins is having a 25% off all skins storewide. So come on down to the store and grab your favorite. “You must join the group and wear your group tag to get discount”. **Note: In-World Store Sale Only. Introducing our Fifth Skin Release from our new “Glamour Line”. New “VIOLET SKIN” with shape. Four skin tones; Pale, Fair, Tan, Dark. Shape is modifiable. Included are 10 lipsticks options, 3 Dimple options, 1 freckles and 1 cleavage enhancement option. Lolas appliers, lush appliers, slink mesh hands & feet appliers and Phat Azz appliers are available at the shop. Here is your taxi to the store. Also available on Market Place. For a limited time!! 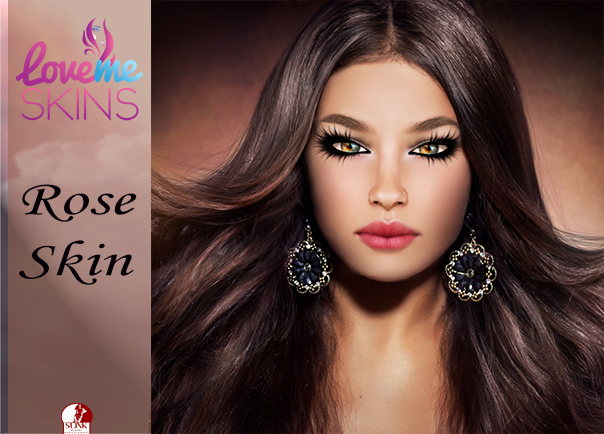 I am offering my group members 45% off the original price of “JUNE SKIN – TONE TAN” ONLY. Also included are the following appliers: Lolas, Lush, Slink hands and Feet, and Phat Azz. So come on down to the store and wear your group tag and grab it while you can. Here is your taxi to the store. Introducing our Fourth Skin Release from our “Sophisticated Line”. New “GRACE SKIN” and shape. Three skin tones; Pale, Tan, Dark. Shape is modifiable. Included are 11 lipsticks options, 1 cleavage enhancement. Lolas appliers, lush appliers, slink mesh hands & feet appliers and Phat Azz appliers are available at the shop. Here is your taxi to the store. Also available on Market Place. Introducing our Third Skin Release from our “Sophisticated Line”. New “VICTORIA SKIN” and shape. Three skin tones; Pale, Tan, Dark. Shape is modifiable. 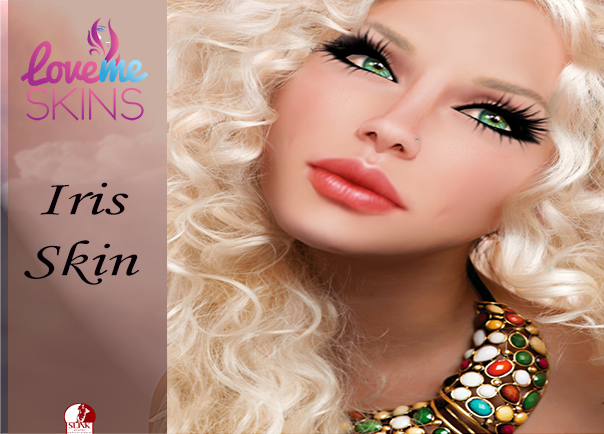 Included are 10 lipsticks options, 1 cleavage enhancement and 3 brow shades. Lolas appliers, lush appliers, slink mesh hands & feet appliers and Phat Azz appliers are available at the shop. Here is your taxi to the store. Also available on Market Place. Introducing our Second Skin Release from our “Sophisticated Line”. New “SILVIA SKIN” and shape. Three skin tones; Pale, Tan, Dark. Shape is modifiable. Included are 6 lipsticks options, 2 cleavage options. Lolas appliers, lush appliers, slink mesh hands & feet appliers and Phat Azz appliers are available at the shop. Here is your taxi to the store. Also available on Market Place.